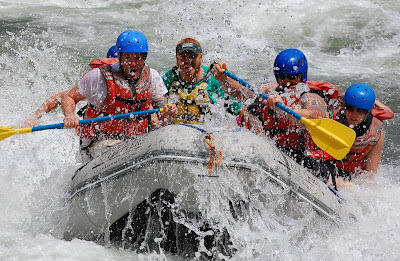 The 2012 rafting season is just around the corner and it promises to be yet another outstanding year here on the Kern River. Our Whitewater School launches on April 14th and we expect to be running Forks and Upper Kern trips from April 28th through June 17th. The Lower Kern will kick in on Memorial Day weekend and is expected to run through August 19th, however the season on the Lower could be extended if releases from the Isabella Reservoir allow. Keep these booking windows in mind when planning your trip to take advantage of the best water levels the Kern River has to offer this year. If you have any questions about our trips or would like to check on availability, give our office a call at 1-760-376-3370.